Racing After Age 80? It's Just Another Day For Della Works. Her husband said it was crazy, which is exactly why she did it. In February of 2004, Della Works boarded a Russian research ship and set sail for Antarctica. At 69 years old, Works was the oldest in a group of runners tackling 26.2 miles on the world’s southernmost continent. A few years after he passed away, his prediction became a reality. “Antarctica was one of my favorites because of the scenery and the quietness. It was very special, mainly because of the camaraderie before and after [the race],” said Works, who ran in purple ski tights and a hooded windbreaker, which she purchased for $2 at a church thrift shop. 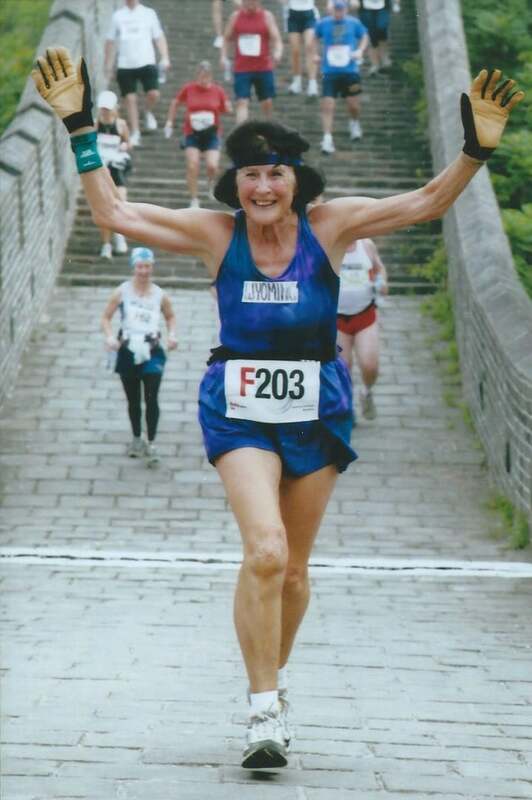 A sense of mutual support and companionship has motivated Works throughout her running journey. When she was 49 years old, her son Robert convinced her to register for her first race: an 8-mile run held by the Central Wyoming Fair and Rodeo in Casper, Wyo. Only a few months later, 26-year-old Robert was killed in a plane crash in Alaska. Several years after her first race, Works was inspired to challenge herself through running again—this time by a senior athlete acquaintance who motivated Works to complete a half marathon. “She talked me into doing a half marathon, and then I beat her! 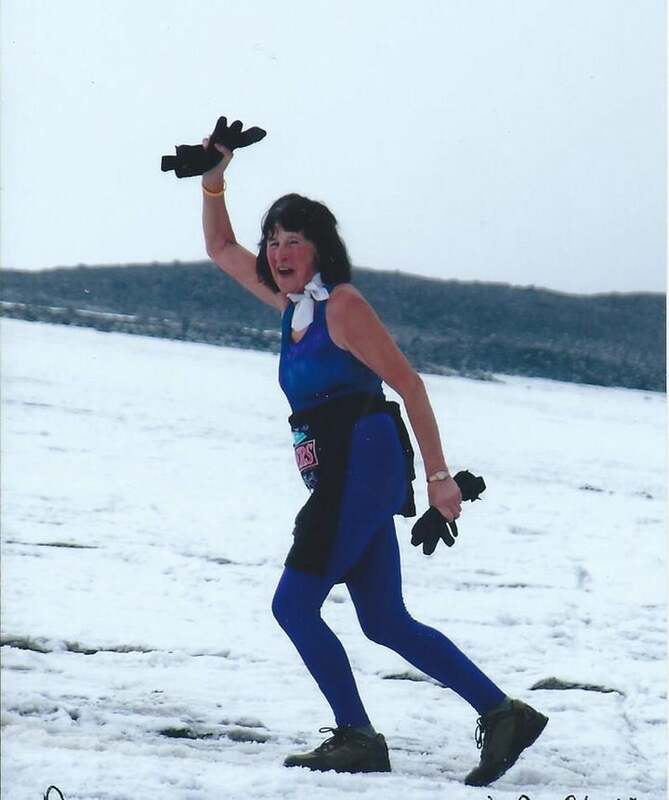 And she said, ‘Now you’ve got to do a marathon!’” said Works, who went on to tackle her first marathon a few years later. Running has taken Works all over the United States and around the world, from the Great Wall Marathon in China to the 100th Anniversary Olympic Marathon in Athens, Greece. Running also led Works to the Senior Games and the National Senior Games, a biennial competition that’s open to runners ages 50 and older. Della Works at the Great Wall Marathon. Photo provided by Della Works. After 28 years of participating in the Senior Games, competing in 14 National Senior Games and serving on her state’s Senior Games board, Works is currently preparing for the 2019 National Senior Games. In Albuquerque, N.M., this June, Works will compete in six events: the 200-meter, 400m, 800m and 1500m runs, in addition to the 5K and 10K. She takes a varied approach to training, incorporating cross-country skiing and snowshoeing in the mountains outside her home in Casper, Wyo. She credits her husband with inspiring her love for the outdoors. Works has experienced some health concerns over the years, including atrial fibrillation. 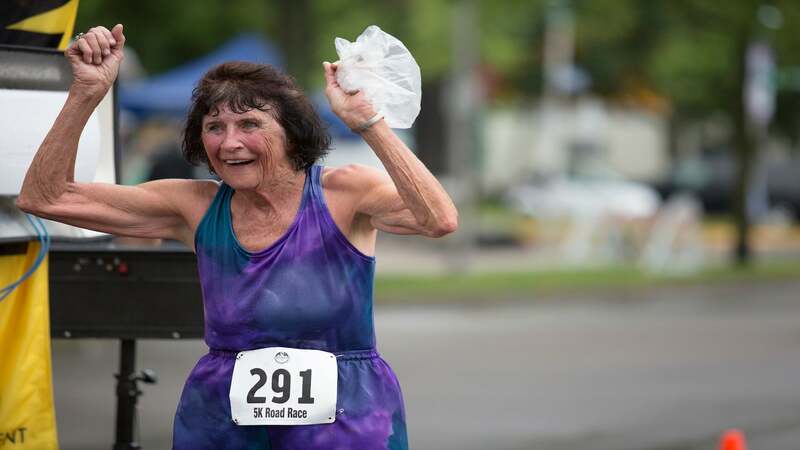 Since turning 80, Works no longer completes marathons, opting for the half-marathon distance instead. She also recently decided not to participate in the long jump, due to concern that she may injure herself. “I just count my blessings that at my age I still can move,” Works said. Della Works at the Antarctica Marathon. Photo provided by Della Works.